Daniel S. Dornfeld is a partner in the Real Estate, IDA Benefits, and Government Incentives practice groups. In addition, he is co-chair of the Veterinary practice group. Mr. Dornfeld focuses on all aspects of commercial real estate and development and related litigation. He regularly handles such sophisticated transactions as commercial mortgages, loan workouts, purchase and sale agreements, IDA transactions, and leases. Mr. Dornfeld represents some of the largest and most respected real estate owners, contractors, and developers in New York. His hands-on experience gives him a unique perspective on the needs of property owners and operators. 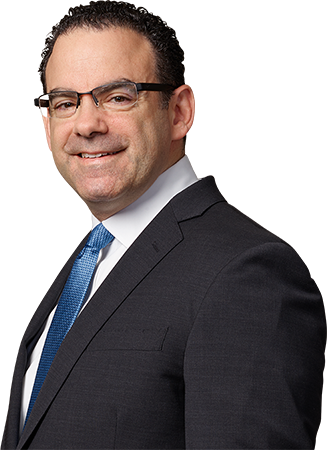 Prior to joining the Firm, he was a co-founding member of Dornfeld and Nasis, LLP. In addition, Mr. Dornfeld worked at a large publicly traded real estate company where he ran the department responsible for collections, tenant litigation, billing, and lease administration. Prior to that, he served as general counsel to a prominent real estate developer and owner. Mr. Dornfeld is an AV rated attorney by Martindale Hubbell, and has been selected as a Top Rated Lawyer in Real Estate. He has authored several articles relating to leasing for The Realtor®.